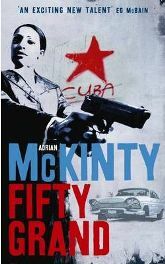 Mercado, a tough Cuban cop manages to wangle a visa to Mexico from where she enlists the help of a people smuggler to get into the United States. She’s bound for Colorado where she hopes to find out the truth about her father’s death: he was recently killed in what was said to be a hit and run accident. Her father, who had been working as a pest controller had been posing as a Mexican immigrant, even though, as a Cuban defector, he would have been legally entitled to a green card: this news only creates more questions for Mercado. In Fairview, Colorado, Mercado blends herself into a town frequented by America’s rich and beautiful. Working for the loathsome Esteban, Mercado learns the reality about what it is to be an illegal in the United States.